Don't have to go far back in the time machine for this one. In August of 2009, the Phillies were taking on the Chicago Cubs at Wrigley Field. It was the 5th inning of a game that the Phils would go on to win 12-5, and Cub catcher Jake Fox (now with the Orioles) lofted a fly ball to deep center. Shane perched under it, ready to make the grab, and suddenly an entire beer cascaded down upon him. It turned out that it was thrown by raging D-bag John Macchione (seen below), a Chicago Cubs fan who wears shirts that, uh, well, look like what Shane Victorino wears. Shane of course, handled it all with his usual cascade of cliches: "I think he needs to be held accountable. But for the most part, I just see it as the guy thought it was fun. It is what it is. It didn't cost me in any way and it didn't hurt me in any way. It's part of the ballgame." Yep, you've got your force outs, your bunting runners over, your hit and run, and your dumping entire beers on the heads of the players. All part of the ballgame. This was not the first time a player had been hit by beer. 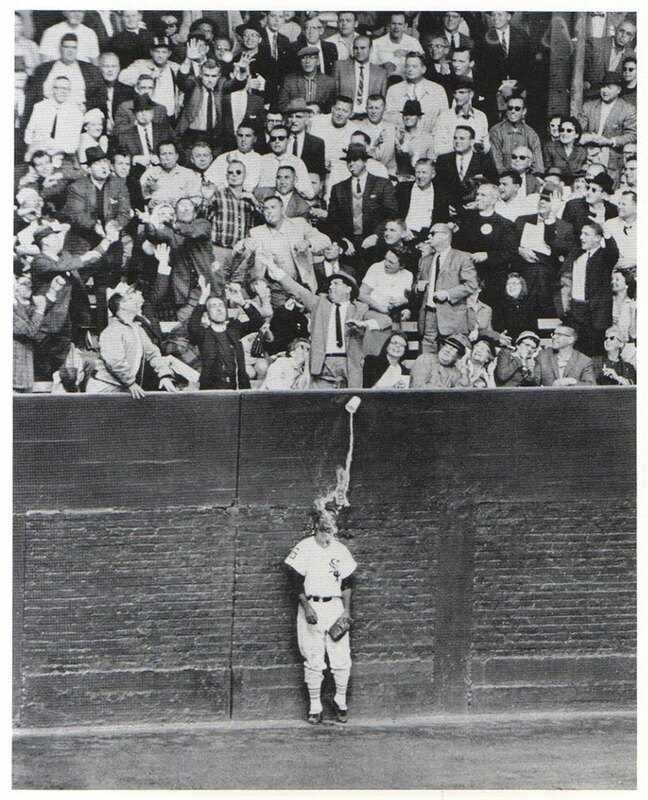 A more famous incident happened in the 1959 World Series, and resulted in a beer shower for White Sox left fielder Al Smith and one of the most remarkable photographs in baseball history.